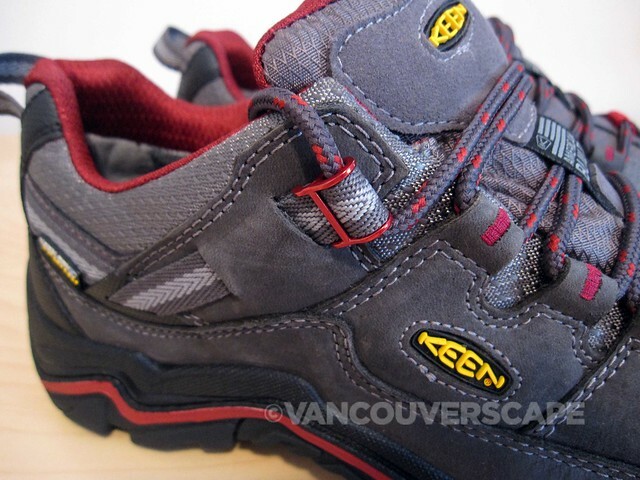 KEEN’s recently introduced their Durand low- and mid-height hiking shoes for men and women. The built-to-last shoes contain a directly-injected PU construction and are manufactured right at their Portland, Oregon factory. 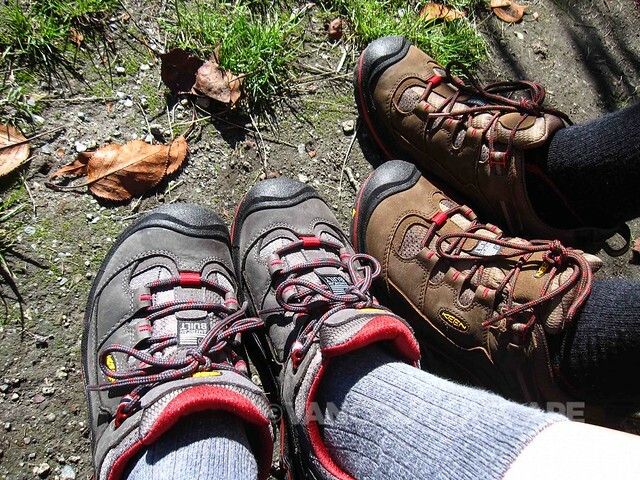 Many hiking shoes and boots are made with Ethylene vinyl acetate (EVA) midsoles that are known to break down over time: Polyurethane (PU) won’t break down. This makes the comfort outlast the life of the shoe. No glues are used during the environmentally-friendly PU injection process; with no glues, there’s also no chance of the outsole breaking apart from the upper. 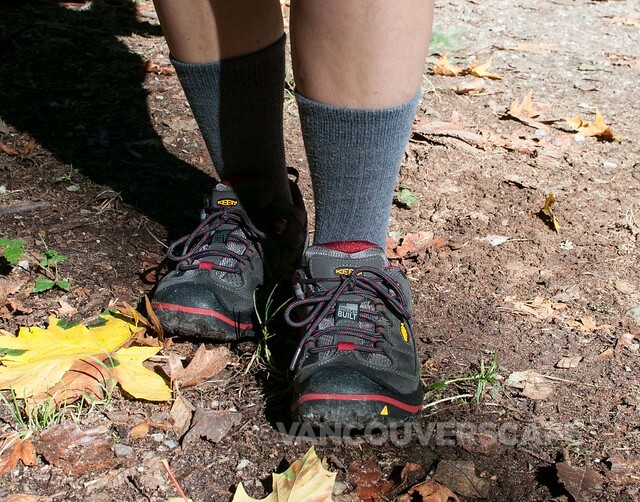 The heeled cushion adds all-day comfort for hitting the trails as well as on city walks. This cushion is also designed to lock directly into the Durand’s insole, supporting the foot, maximizing shock absorption. As well, a dual-grip outsole combines a rubber compound around the edges for grip and another to maximize durability in high-wear areas. 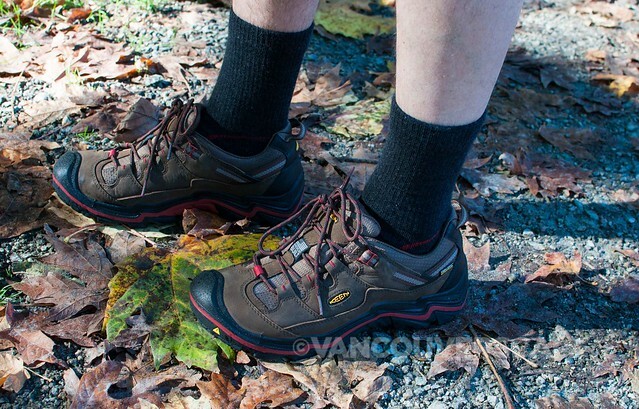 We took both the men’s and women’s Low WP models out for several hikes on our local mountain trails. The shoe feels solid and provides good ankle support. Durand’s soles have excellent grip for heading up and down the trails, and the leather and mesh upper kept mud and wet leaves from penetrating the surface. 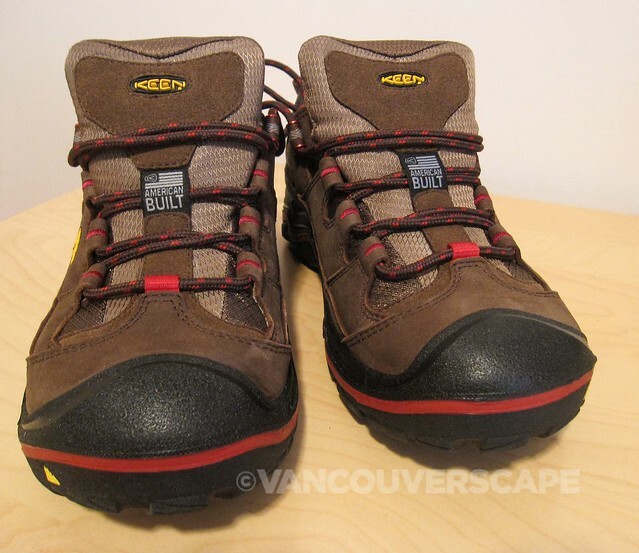 We also noticed that for its solid build, it’s also not that heavy a hiking boot. 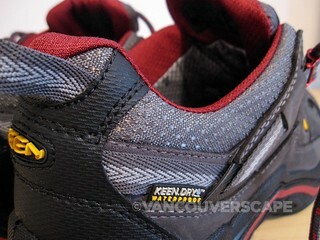 These shoes are designed around a “million step comfort” concept. 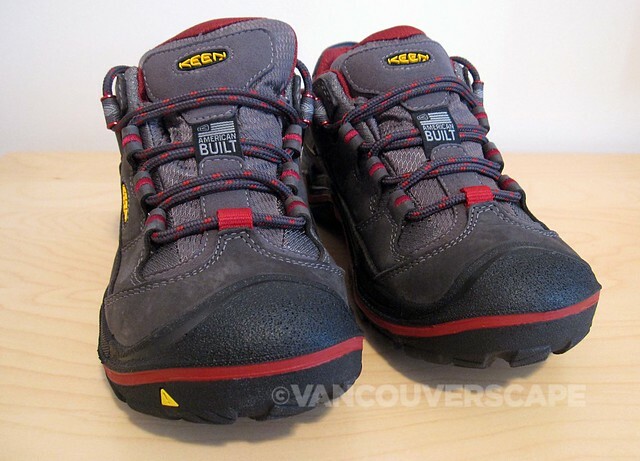 Comfortable right out of the box, these waterproof hikers are great all around-outdoor shoes for all seasons. The Durand is also available in a Mid height, and incorporates a compression-resistant midsole, integrated heel cushion, and technical rubber outsole. The KEEN Durand Mid comes in Chocolate Brown and Tawny Olive for women, and in Cascade Brown/Gargoyle and Magnet/Red Clay for men. 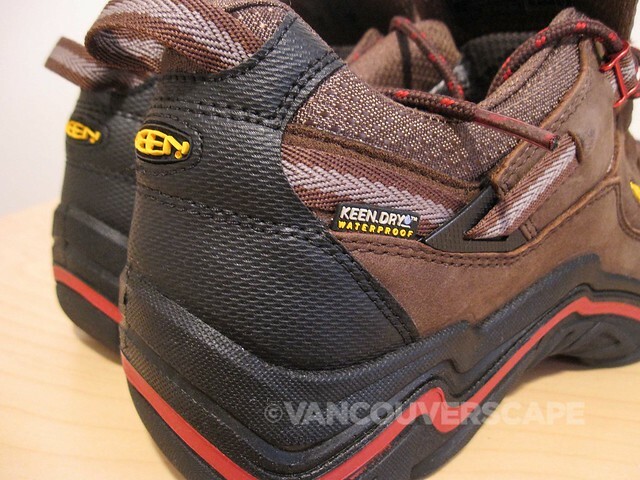 The KEEN Durand Mid WP hiking boots for women are similarly designed with the same key components. 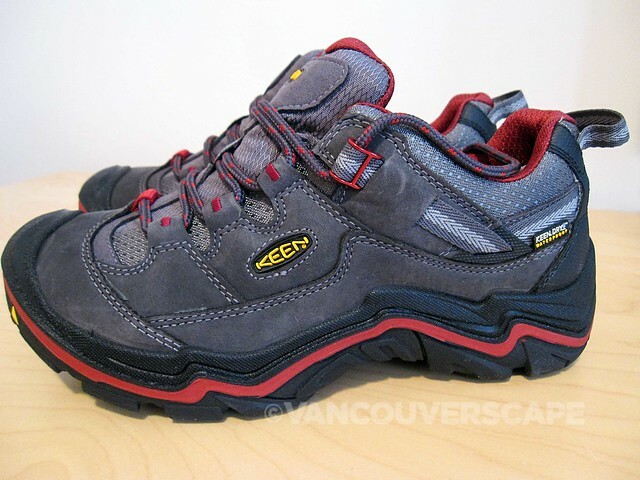 The KEEN Durand Low WP is available in Dark Earth/Red Dahlia and Cascade Brown/Glazed Ginger for men, and in Magnet/Red Dahlia for women. The Low WP retails for CDN $200; the Mid WP for CDN $220. 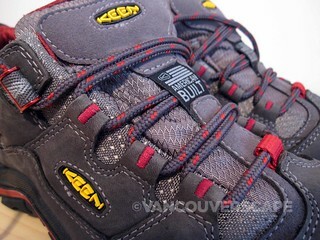 Both KEEN’s Canada and US sites offer free shipping and returns. Where would YOU go in a million steps? 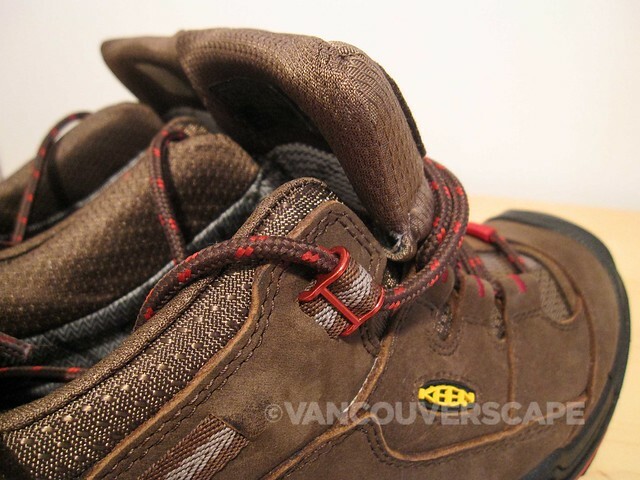 KEEN’s offering a chance to win a hiking adventure for two Canadian residents to Portland, Oregon, including a visit to the KEEN headquarters and factory. – An awesome, memorable experience! Contest closes October 15, 2014. Great reviews. This is exactly what I’m searching for. Thanks for the post, I really appreciate it! Thanks for checking out our site, Kay! You’re welcome, Josh. Thanks for reading!